4 bedroom, 2 1/2 bath home in Ocean Drive section of North Myrtle Beach. Sleeps 10. 2 king beds, 2 queen beds, queen sleeper sofa. Private pool. (not heated). Golf cart allowed on property. Walking distance (.6 of a mile) to beach. NO MOTORCYCLES. No pets. No smoking. Families only. No student groups. Private pool! Close to the beach! Great family spot! 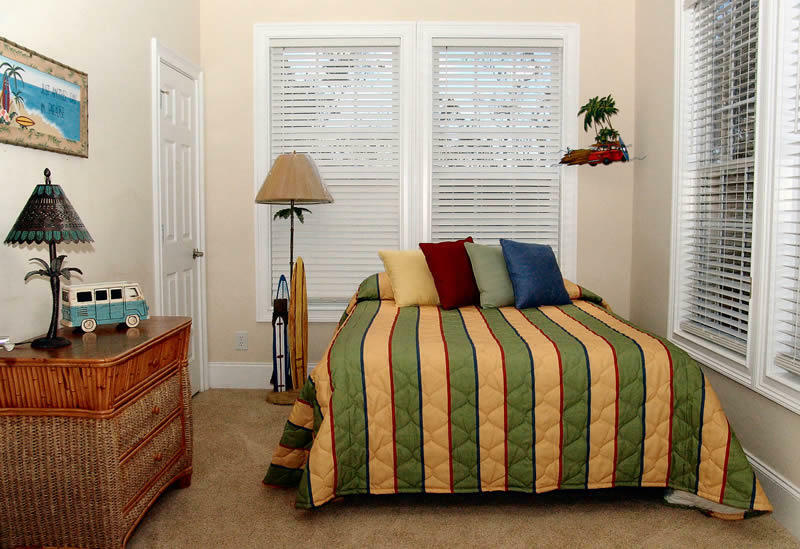 North Myrtle Beach vacation home rentals. Perfect getaway! 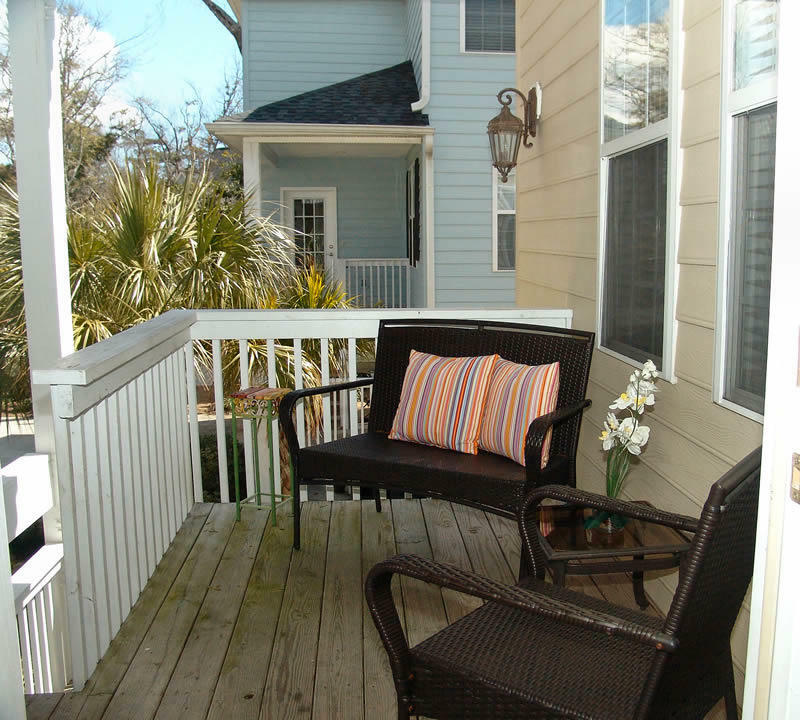 Forget Me Not, 711 Seashell Lane, North Myrtle Beach, SC 29582. The name says it all! 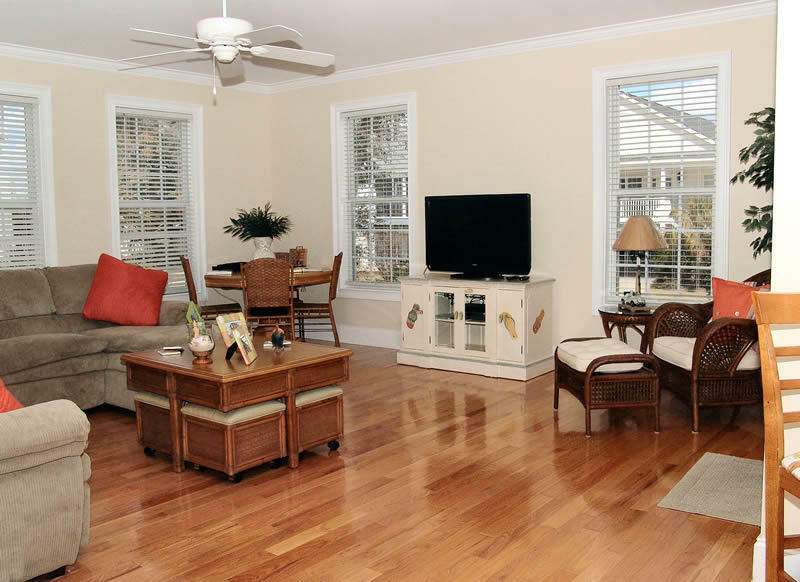 This enchanting four bedroom, two and half bath North Myrtle Beach vacation home rental is one you won't soon "forget". The bright and cheerful decor is exquisite, but comfortable and offers you a slice of paradise on your much deserved family vacation! 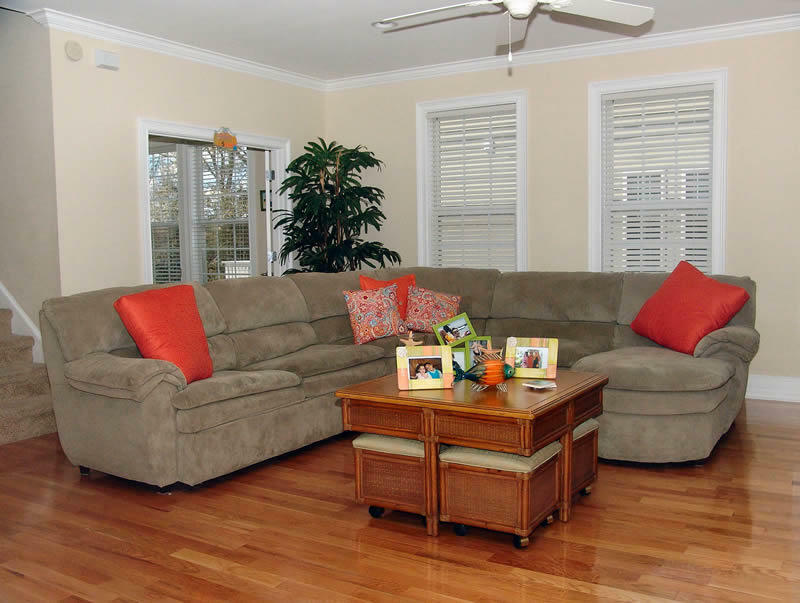 The spacious living room features hardwood floors, large sectional sofa with plenty of seating, and flat panel TV. The open floor plan makes visiting with the family so much more enjoyable as the kitchen, dining area, and living room spaces flow into one. 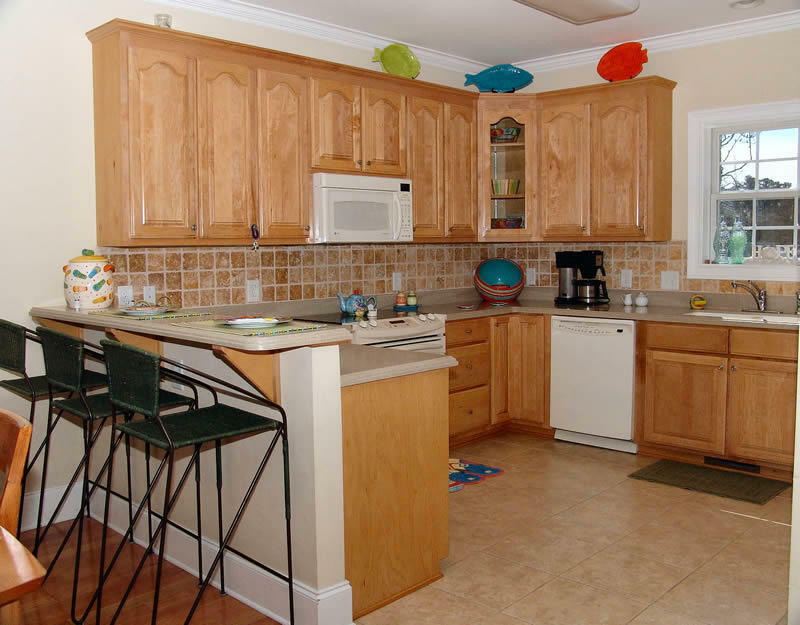 The upscale, fully equipped kitchen offers up everything you need to prepare and serve family meals - and then some! Treat the family to a special breakfast using the wafflemaker. Forget Me Not also features a top of the line Bunn coffeemaker that can crank out pots of freshly brewed coffee for the java junkies! Other kitchen goodies include a crock pot, electric frying pan, mixer, blender, and much more. The dining area has a table that will seat up to eight people and there are also three stools at the bar for additional seating. 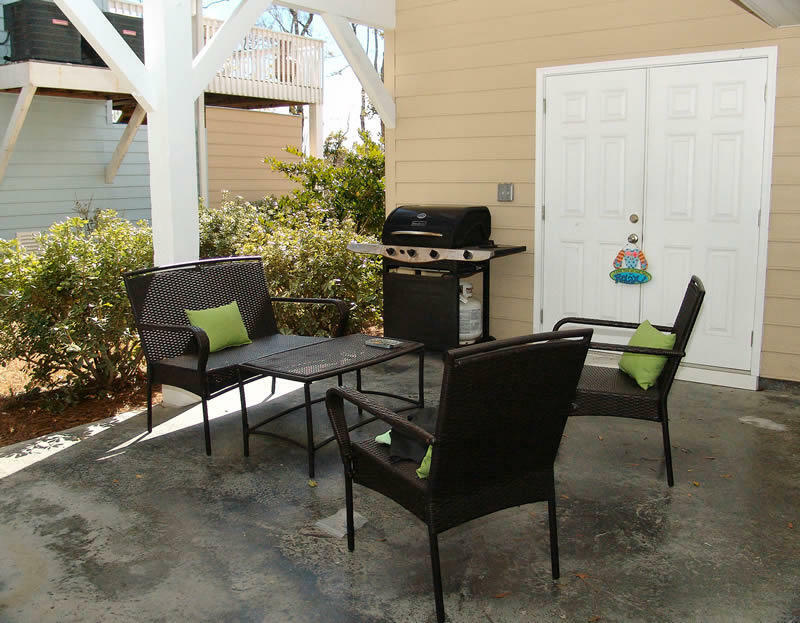 This North Myrtle Beach house rental also has a charcoal grill and the summer of 2018 there will be a gas grill, so be sure to grab some hot dogs and hamburgers at the grocery store - its great to grill out and picnic by the pool! 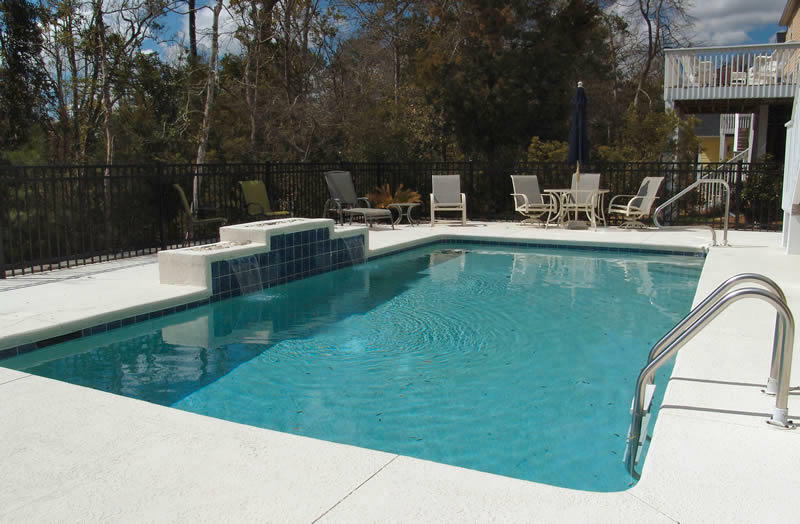 Forget Me Not is located 5 short blocks (.6 mile) off the beach with a sparkling, private, outdoor pool. 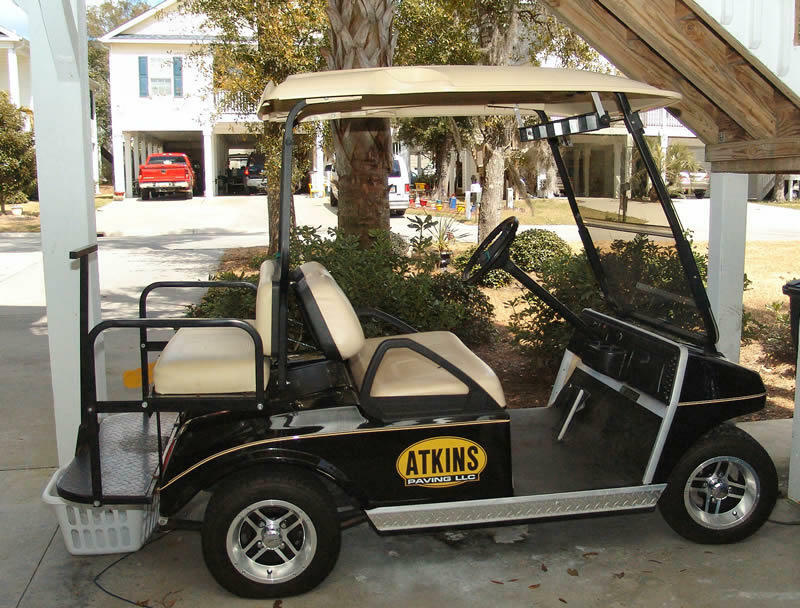 Golf cart rentals are allowed on this property. After a long day in the hot sun, the family will enjoy a cool, relaxing swim in the pool. There are tables and chairs on the pool deck as well as a porch swing for those who want to enjoy the refreshing ocean breeze. The pool area is gated and secure so children cannot wander into pool accidentally. 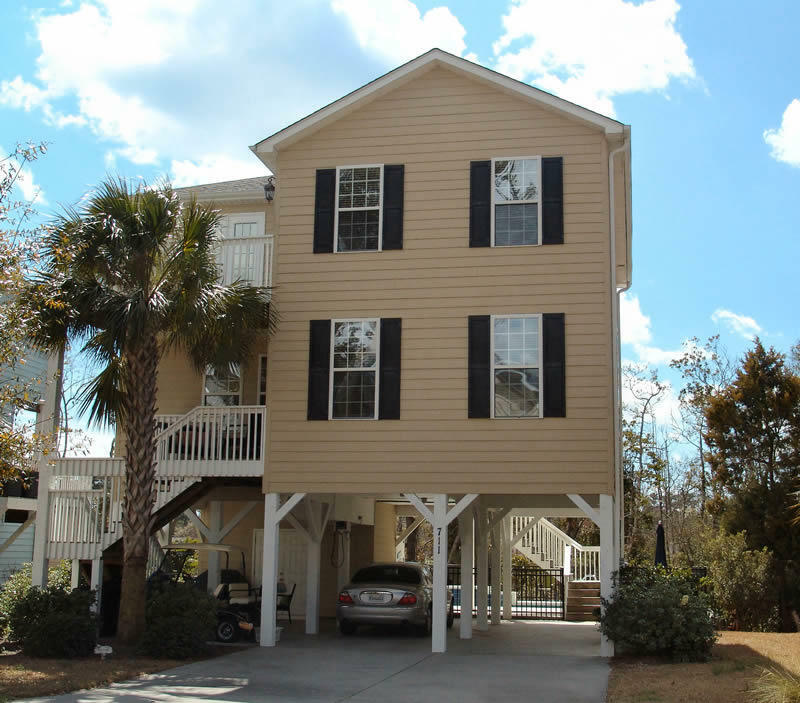 This beautifully appointed North Myrtle Beach rental home has three bedrooms and two baths upstairs, and one bedroom and a half bath on the main level. To add to the charm of the home, each bedroom has a theme and is appropriately named. The master bedroom, "Mermaid's Master Suite." features a king size bed, private bathroom with a double sink vanity and shower, and a private balcony that is perfect for enjoying that morning cup of coffee. 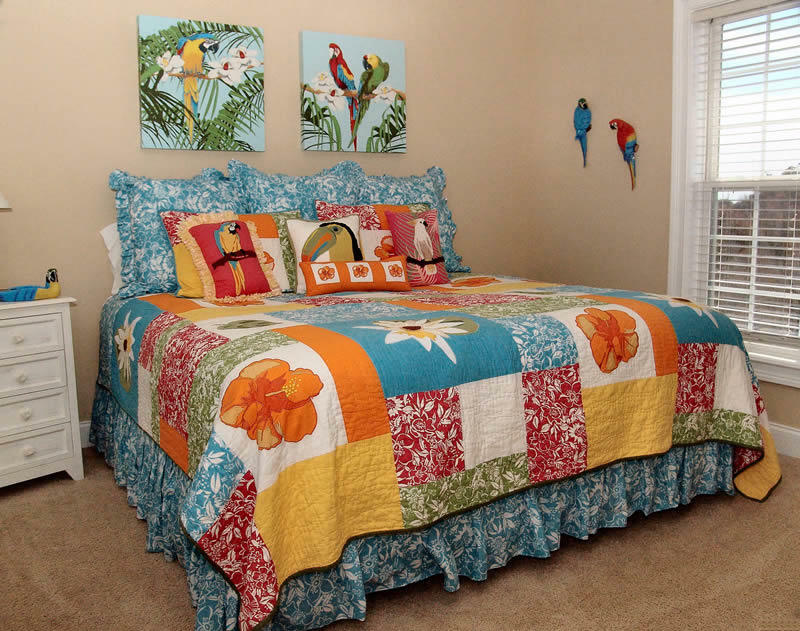 The second bedroom, "Toucan's Tropical Escape," also features a king bed. The third bedroom, "Flamingo's Fancy Paradise," has a queen size bed. 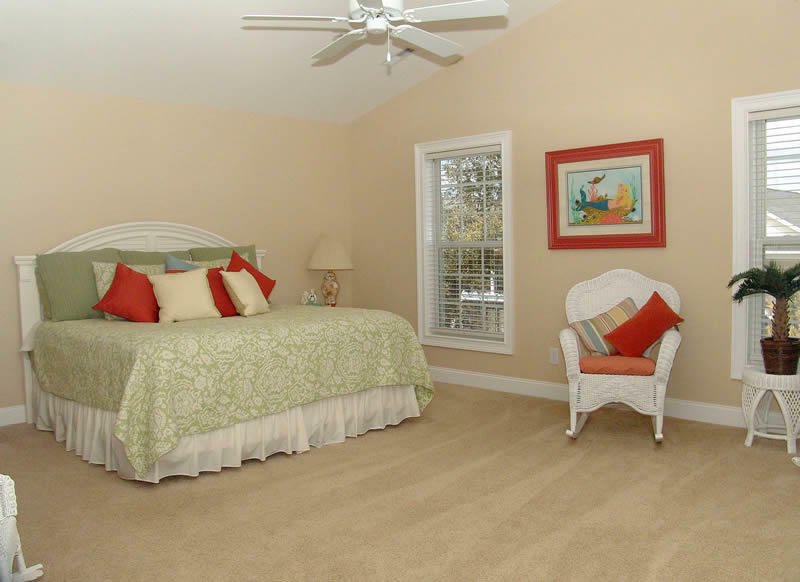 The second and third bedrooms share a bath located in the hallway. 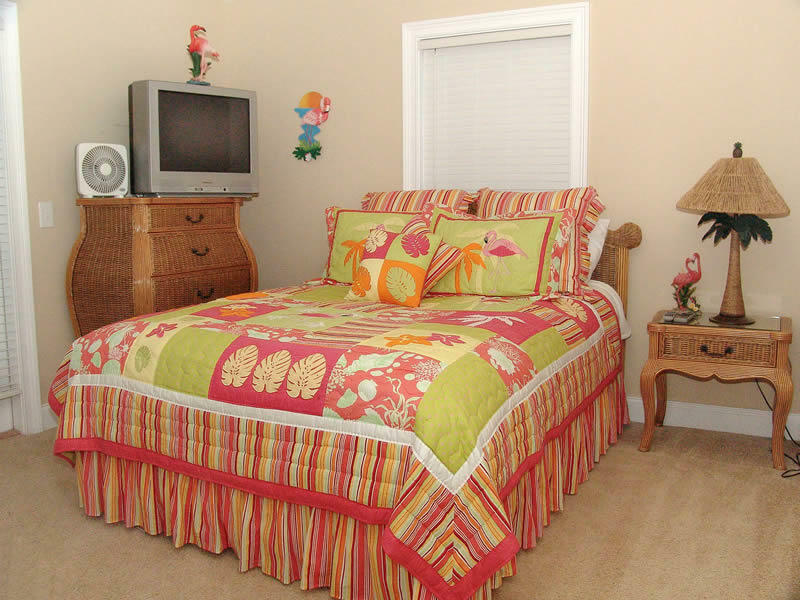 The fourth bedroom, "Surfer's Boarding Room," is on the main level of the home and has a queen size bed. The sofa in the living room converts to a queen sleeper if needed for extra sleeping space. Forget Me Not is full of wonderful amenities and is the perfect place to bring the family for summer vacation! 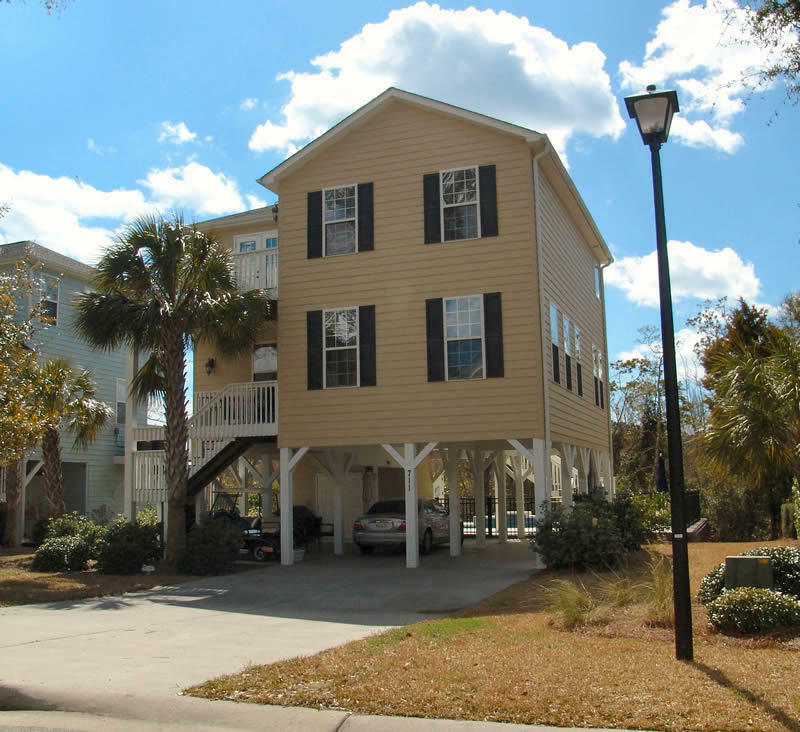 This beach house rental in North Myrtle Beach has parking for four to five cars, a full size washer and dryer, ceiling fans, central heating and air, five flat panel TV's, five DVD players, and one VCR. 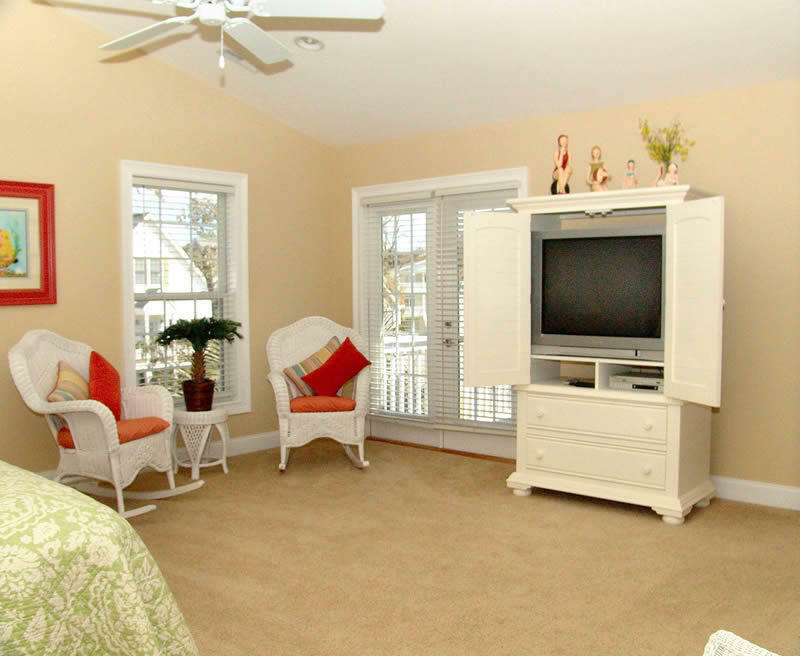 Note: all bedrooms have cable television! This is a non-smoking home. No pets and no motorcycles permitted. 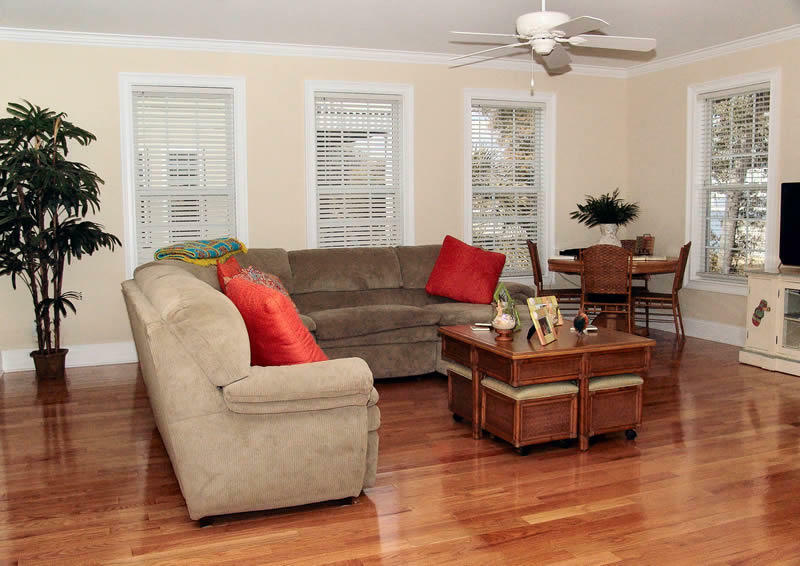 Come and fall in love with this "unforgettable" beach house rental in North Myrtle Beach - Forget Me Not. *This property only rents to families - no group or student rentals. motorcycles and pets not allowed on property.